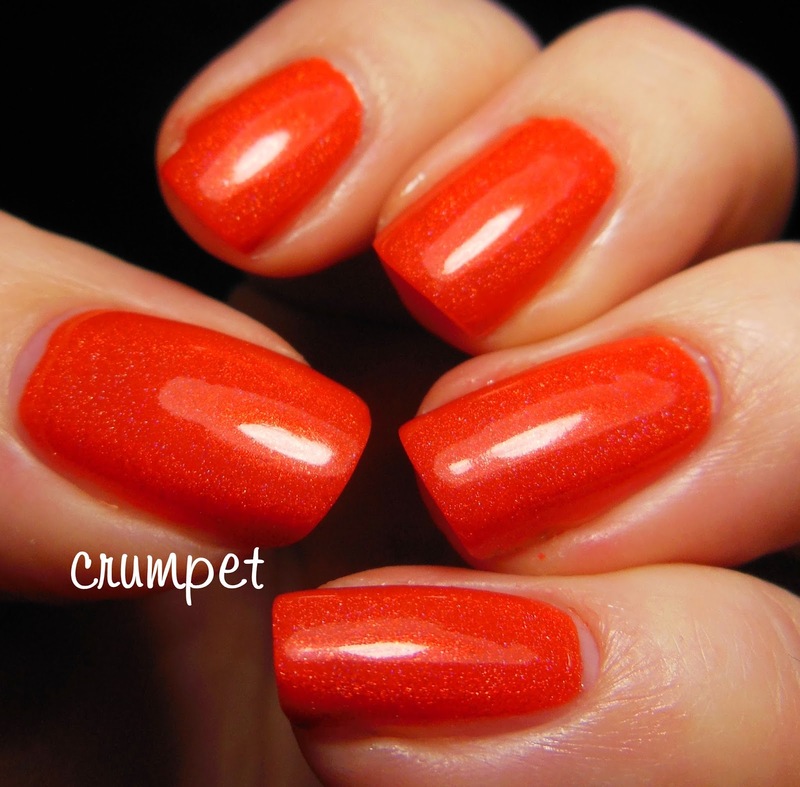 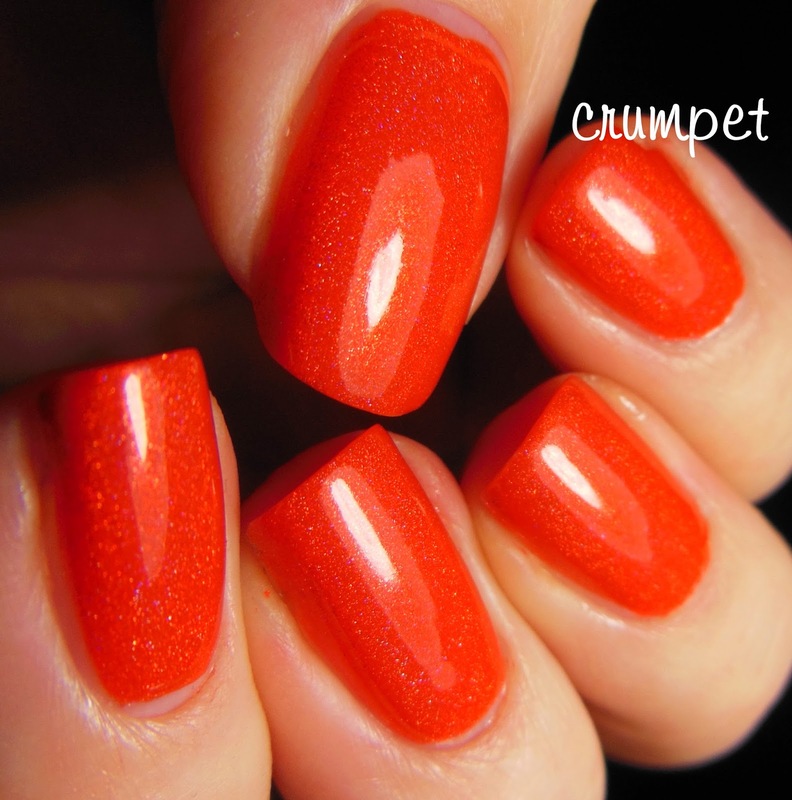 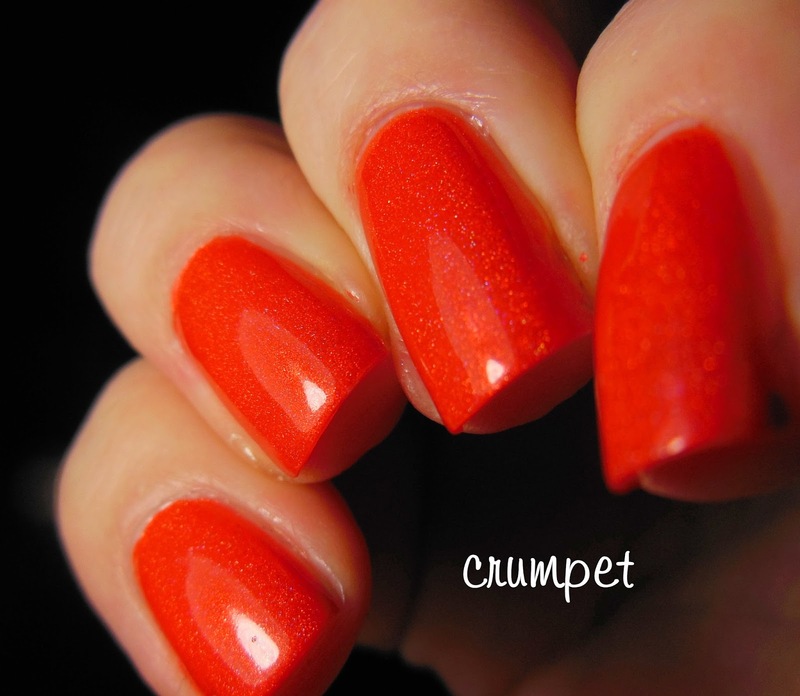 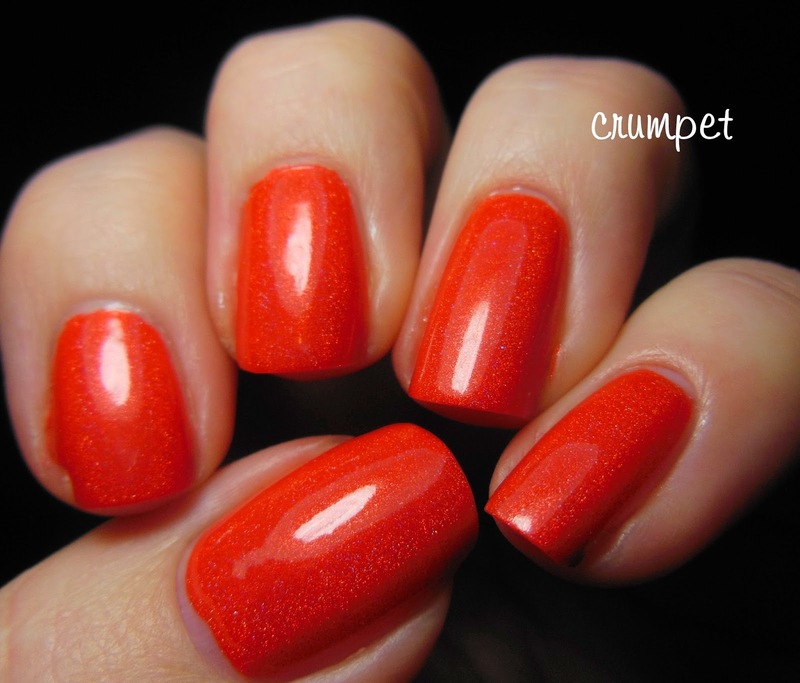 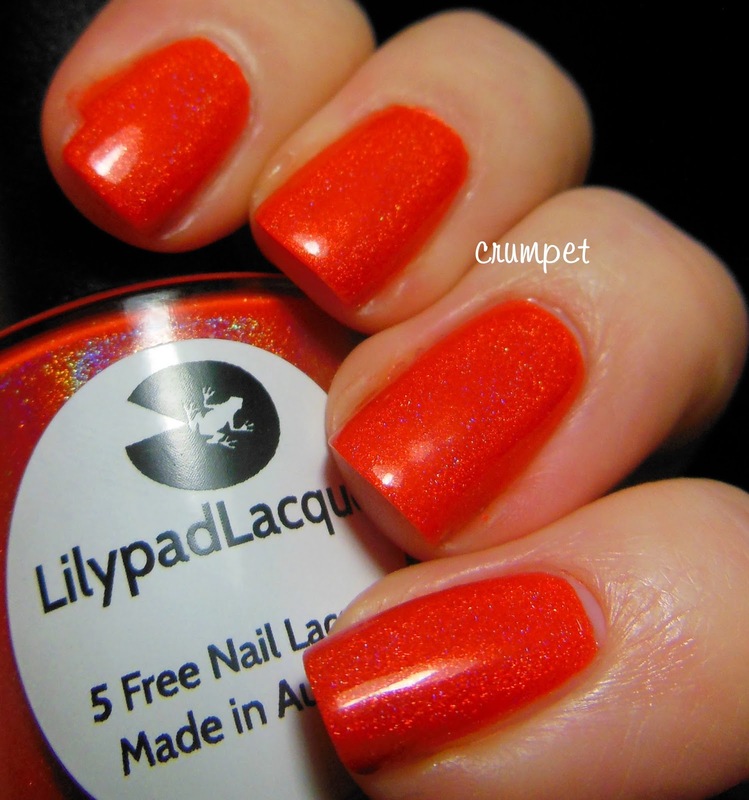 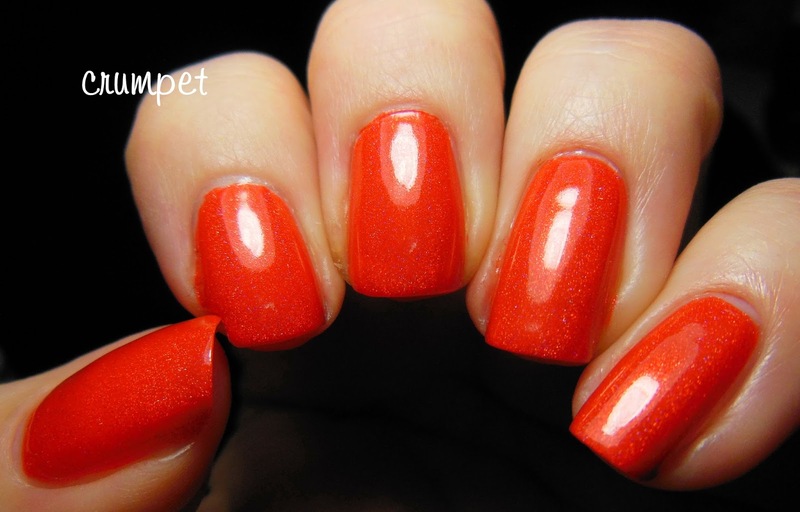 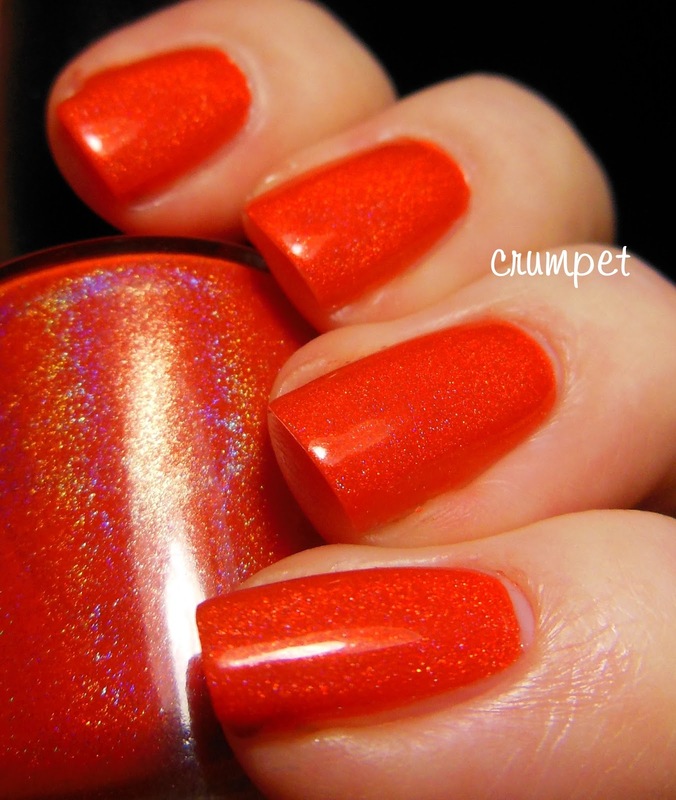 We continue Lilypad Week with this utterly stunning orange polish called Fire Fire. 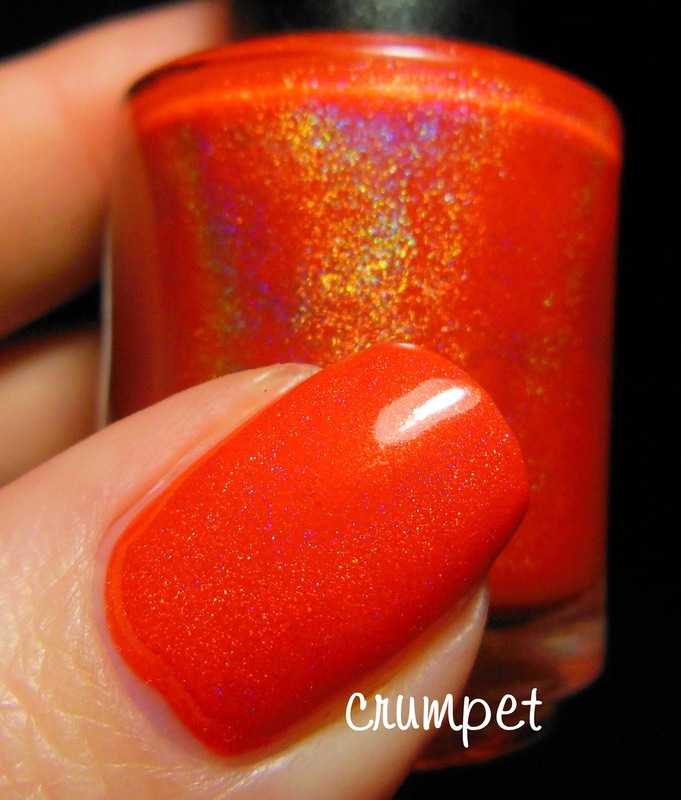 Fire Fire is just gorgeous. 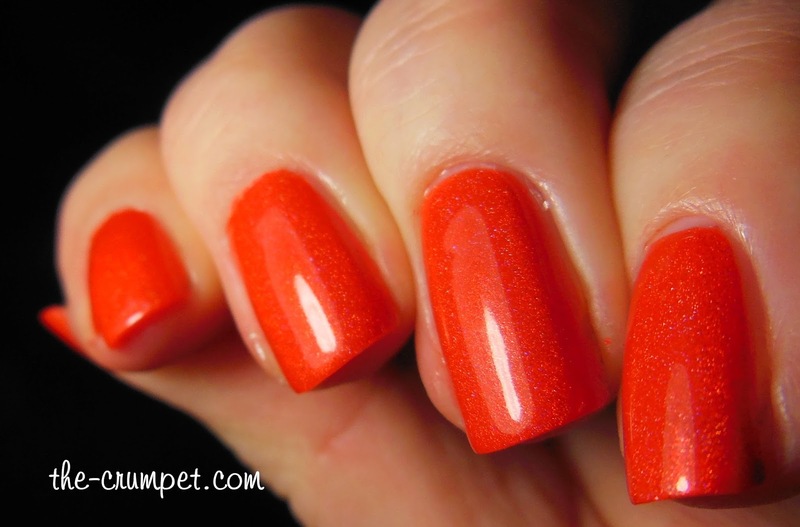 It's obnoxiously bright without being neon, obsessively happy and clappy, and just downright beautiful. 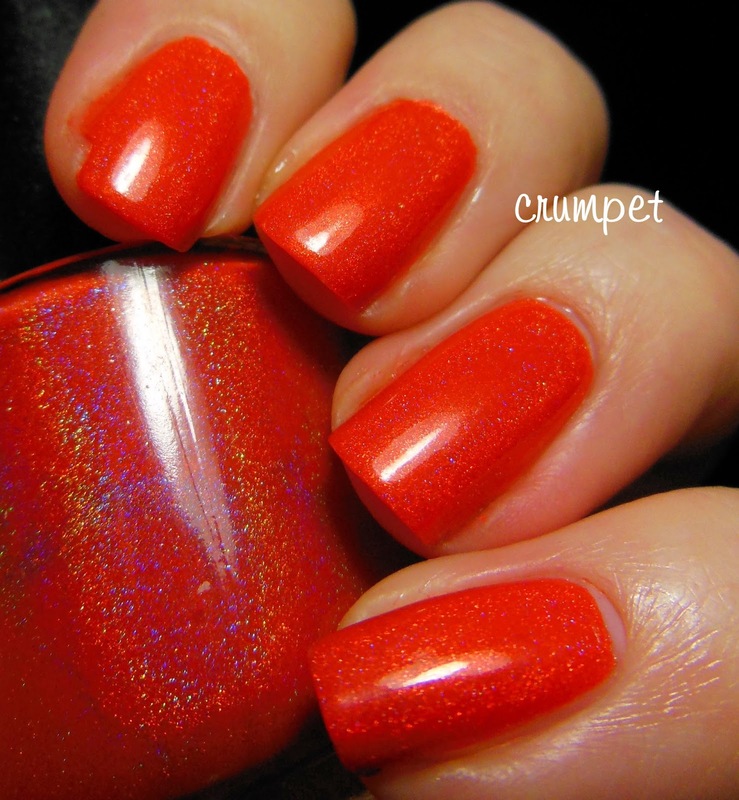 You can't look at this polish and not smile. 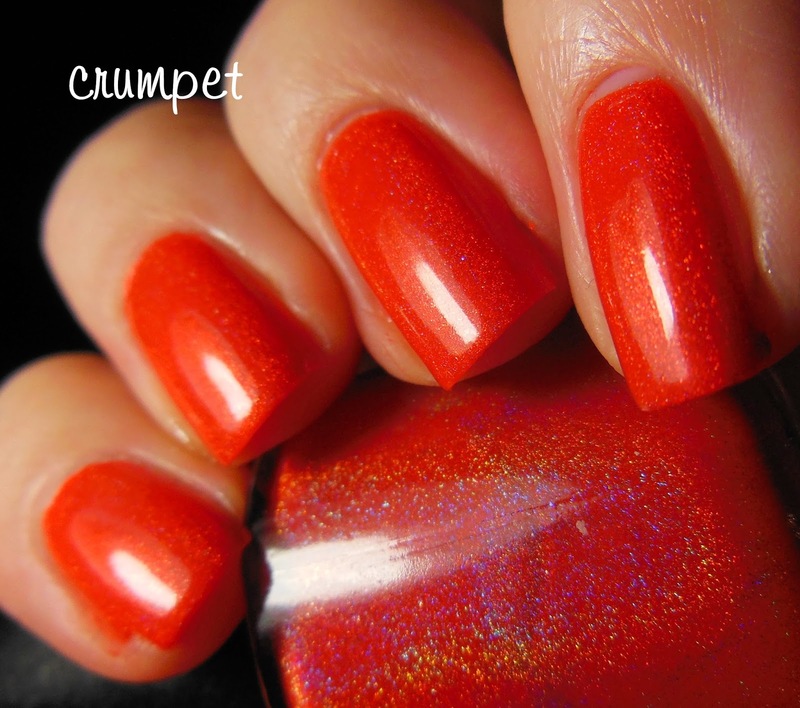 The holo in this is relatively subtle, as it has to be - you can't have the holo turned up to 10 when the polish colour is turned up to 11. 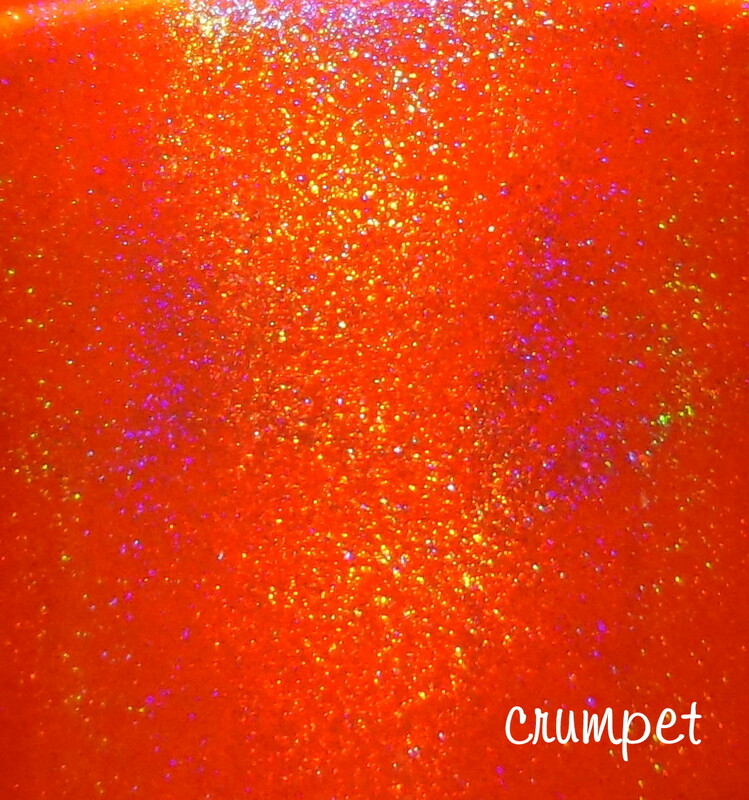 Somehow, both factors combine perfectly. 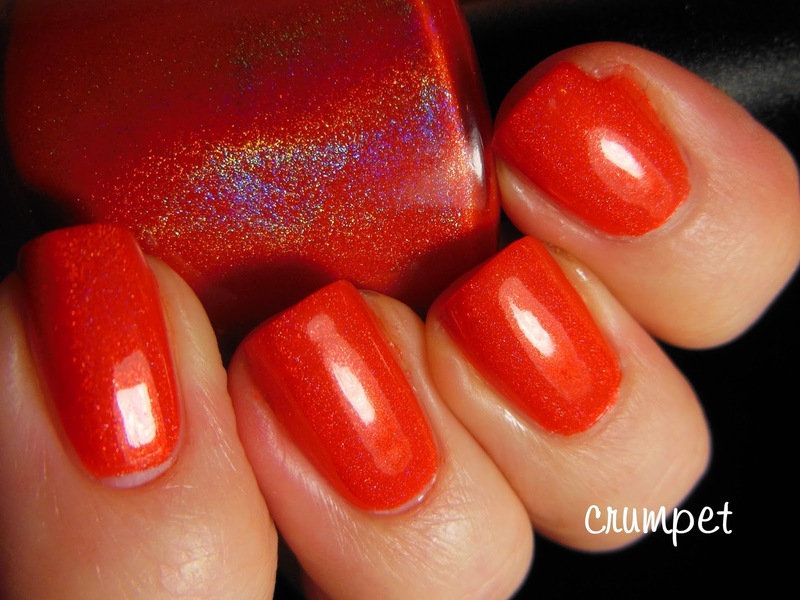 If you love orange, you need this one.